I came across a great example of what I find exciting about the natural landscape and man’s involvement with it on a walk on Dartmoor recently. The bronze age stone circle (photographed below) was entered from the grasslands by a well-trodden grass path. This opened up like a clearing, a really exciting, evocative glade. In amongst the wilds of Dartmoor, that feel so ancient and remote came the echoes of the people that have lived on this land. 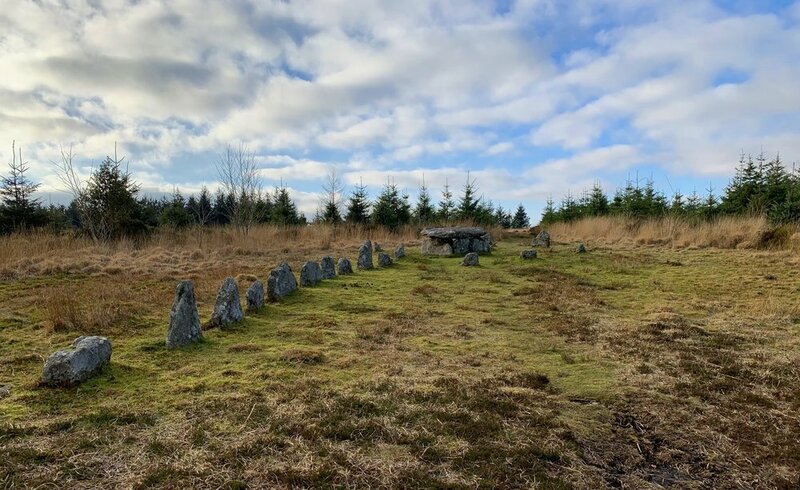 Marked by large granite blocks that had been placed purposefully in a circular formation with some kind of ritual table in the centre. Immediately creating an atmosphere of reverence, order, and thoughtfulness within the untamed landscape. This atmosphere rose up from the path that directs you, created by footfall, dividing the grasses to let you in. The line of stones marking the way into the circle, giving purpose to the cleared land. Then the opening into the circle itself, both welcoming and imposing with the stone tables sense of intention. I am constantly curious about how to create an atmosphere within a garden space, the path that leads you, the clearing that surprises you, the nook that envelopes you, all framed by the plants that bring wildlife and create screens and framed pictures from windows. These design features work well in gardens of any size, very small city terrace to sweeping landscape. I am going to break this blog down into four sections to explore what creates the atmosphere of a garden, hopefully giving out plenty of ideas and inspiration along the way. Each blog will be sectioned under the headings Clearings, Nooks, Paths and Plant Pictures. Photograph, The stone circle near Bellever Tor, Dartmoor.